WANTED NOW: People who want to Apprentice or exchange work for workshops! Interns welcome. and contribute 2+ hours a month in Community Outreach. Earn your Aromatherapy Certification tuition-FREE by committing 4 hours per week in the store. You'll start by cleaning and packaging natural ingredients (we all do this) and learn by doing, listening in and later joining in on serving customers and creating custom orders. You'll sign up for workshops FREE and help out by setting up, helping out during the workshops, or clearing up afterwards. I, Tracey TieF, offer a unique style of hands-on learning that blends scientific with traditional healing expertise. My students call me a mentor, "funny", "riveting" and "unforgettable". PLEASE EMAIL THE APPLICATION THINGS I ASK FOR BELOW BUT READ THE PAGE FIRST! Your incomplete application WILL BE IGNORED on principle. Please do not phone, email or text me about the info I have given below, kindly follow the instructions. 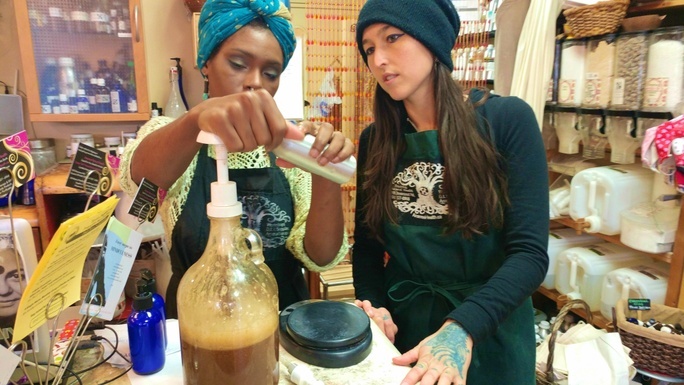 Want to learn how to make all sorts of lotions, potions and creams at a professional level? Want to make a career or living from making and selling natural handmade local and fairly traded body care products? If you are motivated and want a hands-on, personalized education, let's talk. BUT READ THIS ENTIRE PAGE FIRST. ~ Is a contract with me for at least 1 year. ~ Includes an apothecary style business experience, where you learn about sales, inventory, customizing, tincturing, stocking, labeling, packaging, research, ordering, cash-flow etc by working in the store and kitchen/lab. As an Apprentice, you pay no tuition or materials fees. ~ I offer you pre-registered spots in all of the workshops I teach at Anarres and elsewhere, at no cost to you. ~ I offer you the opportunity to host and therefore attend workshops held here, but instructed by others. You must apply for this opportunity and I will select among interested apprentices. ~ You will receive certificates for workshops and modules completed, ultimately leading to Aromatherapy Certification through Preventative Health Services Group, where you will qualify for insurance as a practitioner anywhere in Canada. ~ I will give you written and/or verbal references that are honest, thorough, appropriate, and quite likely enthusiastic, as you need them, until the day I die. ~ I will mentor you and help you achieve your socially responsible dreams and goals to the best of my ability. ~ I require that you commit to a scheduled weekly shift of at least 4 hours that meets the store's needs. The schedule can change because life does, but must be negotiated with notice just like a paying job. ~ I require that you learn routines and procedures to ensure the seamless co-management of a busy shop with walk-in and mail-order customers. You need to be able to complete routines you've been shown without my prompting you. For instance, I don't want to micromanage sharpening pencils, filling the water dispenser, emptying the dishwasher, and putting the clean mugs on the hooks. ~ I require that you pre-register for workshops, commit to helping out before, or during, or after, participate fully, and cancel with notice if you can't attend a workshop you have registered for. Not showing up is grounds for immediate termination of your Apprenticeship, as is not helping out cheerfully. Showing up without pre-registering is grounds for being asked to leave the workshop. ~ I require that you be reliable and dependable: show up on time, call in sick, etc just like a paying job. If you quit with two week's notice, we will discuss which future workshops you have earned already. If you quit without notice (except in the case of sudden major drama), you forfeit free attendance at any future workshops. Quitting without notice is uncool and inconsiderate. You will not receive a positive reference. ~ I require that you take responsibility for mistakes, making right whenever possible, caring about the productivity and viability of our operations. Whatever you do is worth doing well, or you waste your own time, and ours collectively. I require that you build your skills in accuracy, research, customer service, packaging etc. ~ I require that you share in mundane, even unpleasant tasks such as cleaning, stocking, moving boxes etc. You cannot be "too good" for these tasks. There is no maid, house elf or underling. ~ I require that you serve and respect members of our Anarres community as Kindred Spirits, including people with (dis)abilities, LGBTQ+ people, women wearing whatever they want including shorts or veils, people with little money to spend, people in distress. We work together continuously to make Anarres more accessible to all. DO IT MY WAY, TO BEGIN WITH. FINISH WHAT YOU START OR PASS THE WORK ALONG TO SOMEONE WHO CAN AND WILL. LEAVE THE SPACE TIDIER, CLEANER AND BETTER ORGANIZED THAN YOU FOUND IT. *In-store days are Tuesday, Wednesday, Thursday, Friday or Saturday from 11:30 am to 7:30 pm with two 15 minute and one 30 minute self-regulated breaks per 8 hour shift. Room and Board may be a possibility, short or long term, in my home nearby for @$250 per week, or can be Work Exchanged for 30 hours a week in the store. PLEASE SUBMIT YOUR ORDER, EMAIL, PHOTO & PAYMENT SAME DAY. 1. Complete an "Order" below paying a $10 fee, which includes an on-site interview and orientation. This $10+HST = $11.30 fee is required because of the amount of time I spend answering questions, interviewing, researching, planning etc. You may pay the $10 for 1 hour of Work Exchange. 2. Send by email a recent photo, website or Facebook link. 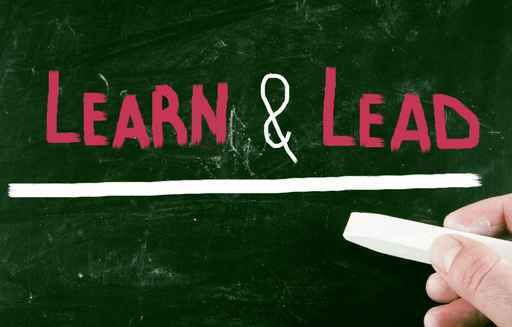 What do you want to learn most in your Apprenticeship? How do you want to carry on after your Apprenticeship? What is your experience with herbalism? Aromatherapy? Natural/traditional healing? What is your experience with customer service or a retail store? What Gifts will you bring to your Apprenticeship? What challenges will you bring? Once I receive your Order, $10+HST = $11.30 and Application, I will contact you to book you for an interview, tour of Anarres Apothecary and Orientation session (@2 hours). I consider Apprenticeships as learning partnerships that are mutually beneficial. As an Apprentice, I expect you to be keen to learn, reliable, and serious about carrying on this work. You can expect from me a comprehensive education in the natural, ethical, traditional medicine that I practice, attention to your learning goals, and investment in your skills and product/business development. Want to learn how to make all sorts of lotions, potions and creams? Enjoy natural handmade local and fairly traded body care products? If you have time rather than money, let's talk. ~ 1 hour on your Time Sharing Card towards an hour's rental of any Anarres space. PRODUCT MAKING: When you help me make products, you'll learn for free and get amazing products to take home. Work Exchange isn't for everyone. You must be able to commit to a date and time. You must be clean and attentive, do what you agree to do skillfully, ask for clarifications and follow instructions. I generally can accommodate one-off casual Work Exchange if you are good at cleaning, organizing or packing supplies using a scale. 1. Complete an "Order" below avoiding paying the $60 deposit by selecting under Payment "Voucher, Coupon, Workshopper Card". There is no cost to apply for Work Exchange. 3. Send me an email answering clearly: What dates/time(s) can you commit to at this time? Once I receive your Order, email, I will contact you to book you for a short interview, and tour of Anarres Apothecary. Hopefully, we'll agree that you should stay for Work Exchange that day. I consider Work exchanges as learning partnerships that are mutually beneficial. As a Work Exchanger, I expect you to be keen to learn, reliable, and serious about doing effective work. You can expect from me lively discussion and as much learning as we can fit into our time together. Booking Work Exchange is solely at my discretion based on the fit of our goals and habits, and your performance and reliability. ~ PROFESSIONAL SERIES I offer 5 to 10 days intensive "learn to make everything" programs that are private, small class, or in groups of 10-20 a few times per year. Programs are generally offered at Anarres, but I will travel. ~ FULL DAY and TWO DAY focused product making workshops scheduled monthly. ~ ONE, TWO AND THREE HOUR INTRO workshops scheduled weekly on Fridays (7-9pm) and some Tuesdays evenings. See current workshop offerings and events on the LEFT-hand side of this website. Green Cleaning: DIY Natural Cleaning Party! The Love Lab: DIY Natural Lube and Mojo Massage Oils! Tub Truffles: Making Bath Time Lots of Fun! From time to time, Anarres Apothecary hosts OPEN HOUSES, FILMS AND DISCUSSION EVENTS. (translated from French) I am totally satisfied to have followed this very informative internship in Anarres Apothecary Natural Health where there is a great atmosphere. The course allowed me to learn a lot about running a business. Tracey is an extraordinary businesswoman with a sense of sharing, gifted in business, she gives of herself to succeed in her work. Working with her brought me a lot in many ways, including absolute rigour, quality of work done and the ambition to create my own business in the future. I am truly grateful to my supervisor. This apprenticeship was for 6 weeks in a totally English environment. It will be considerable support for my career. It was a great experience both rewarding and memorable. There is a ten dollar application fee to make sure that you are serious. I used to receive many applications, with only 1 in 5 serious, so the $10 fee considers my time and prevents impulse applications. Please remember to email your responses and photo ASAP. I will read and reply as soon as possible.